"My mother in law has a polish name for these but my husband and brothers always just called them "Polish Christmas Cookies". They are very easy to make and have a nice anise flavor to them." Cream the butter, shortening and the sugar together. Stir in the eggs and continue to beat. Add the anise flavoring. Stir in 7 cups of the flour, the baking powder and the salt. Mix until the dough is soft. Add the additional cup of flour if needed. Chill the dough. On a lightly floured surface roll out the dough and cut with cookie cutters. Place cookies on greased cookie sheets. Bake at 350 degrees F (175 degrees C) for 12 to 15 minutes. 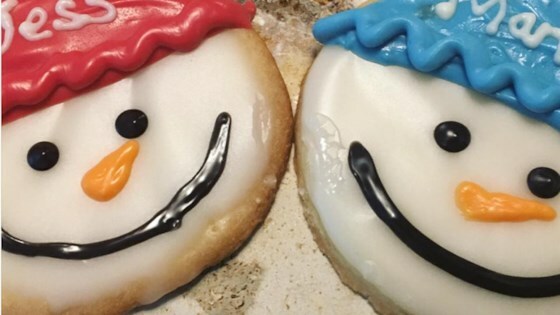 Frost and decorate when cookies are cooled.